WHAT DOES THE CORPORATE SECRETARY DO? 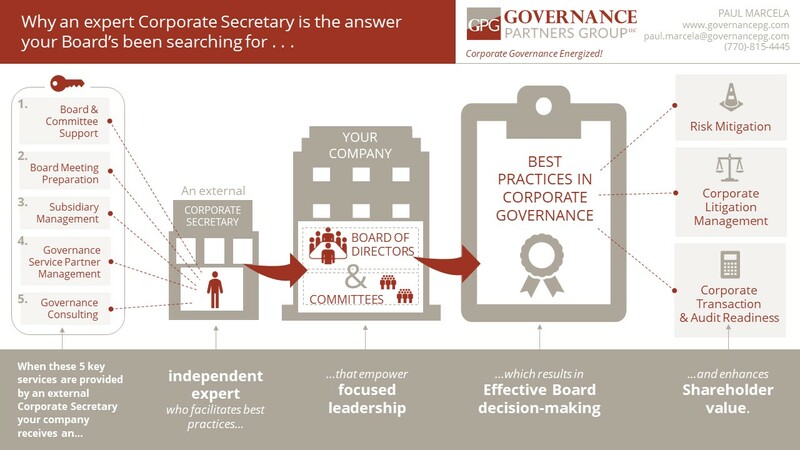 WHAT ARE CORPORATE GOVERNANCE SERVICES? Why does good governance matter for your business? Does your Corporate Secretary have to be your company’s attorney?